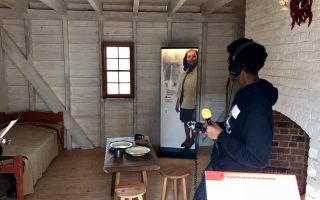 VFH’s African American Programs, Encyclopedia Virginia, and With Good Reason recently partnered with James Madison’s Montpelier for an interactive high school symposium exploring race, monuments, and memorials. Charles Marsh and Ruby Sales at the Jefferson School African American Heritage Center. Photo by Stephanie Gross. 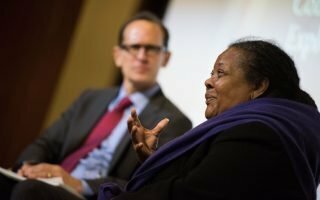 Civil rights leader Ruby Sales visited Charlottesville on November 29th to participate in a public conversation on social justice and spirituality hosted by Virginia Foundation for the Humanities (VFH). Join the UVA Black Student Alliance for a lunch and master class with civil rights icon and public theologian Ruby Sales. 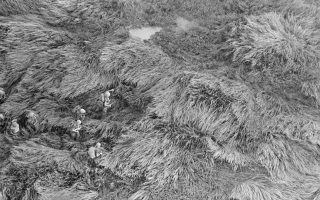 Infantrymen of the 3rd Battalion, 5th Marine Regiment, make their way through five-foot-high elephant grass during Operation Meade River on November 20, 1968. Photo courtesy of Department of Defense, U.S. National Archives. 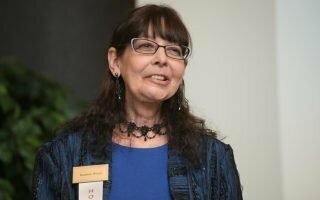 A new eight-part special series by VFH’s With Good Reason explores the unresolved tensions in our understanding of the Vietnam War and the perspectives and people it forever changed. 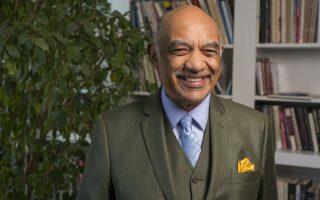 Lenneal Henderson is a professor emeritus of public affairs and international affairs at the University of Baltimore and a visiting instructor at the College of William and Mary. Recently, Lenneal sat down with Elliot Majerczyk in our radio studio to talk about his time serving on VFH’s sister humanities council in Maryland and what drew him to Virginia.